Due to the high demand of location-based services in buildings, various indoor positioning methods have been proposed. Among them, the Pedestrian Dead Reckoning (PDR) systems have received much attention because of the widespread deployment of smartphones and no requirement of infrastructure. 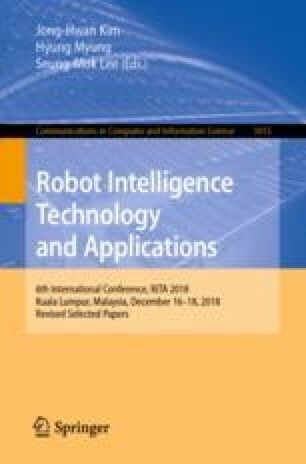 In this paper, we propose a PDR system to track a pedestrian holding a smartphone while he/she walks in a building. To eliminate the inevitable accumulated error over time, we suggest a method of using location related information from environments. We named it ‘landmark’, which is defined as a specific area (or point) where the pedestrian passes by in a building such as a stair, a door, a corner or a crossroad. If the system detects a landmark during the walking period, then it will correct the position of the user with the pre-defined position information of the landmark. In this work, we propose one kind of landmark called the door landmark. We have developed a method to detect the landmarks only using the sensors embedded in smartphones. The door landmark can be detected by combining the features from the magnetic sensor and user’s walking behavior. Via a set of experiments, we have evaluated the performances of the landmark detection and the position tracking of the system. This work was supported by the National Research Foundation of Korea (NRF) grant funded by the Korea government (MSIT) (No. 2018R1D1A3B07049887).